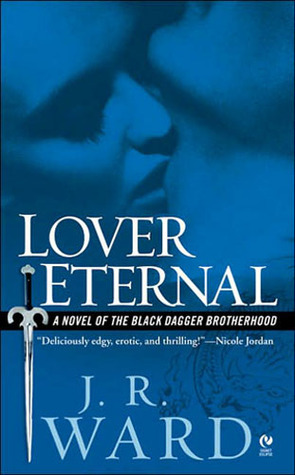 I found out about The Black Dagger Brotherhood series trough Facebook. One of my friends on FB liked one of J.R Ward’s pictures and somehow made it to my timeline. The picture had hundreds of likes and comments so I looked her up and found out that her BDB series had amazing reviews. So I got the first book and then the next 4. 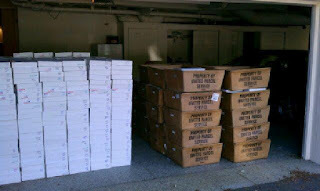 NOTE to authors: even a like on Facebook or an RT on Twitter gets readers to buy/read your books! I also have to thank my library in West Haven CT for having some of the books available on eBook/audio-book form. This was the perfect book to start this series. I absolutely loved Wrath and Beth together. There’s a bunch of characters and you get a glimpse of some of the brothers. It can get a little confusing sometimes. There are several POV in this book. I enjoyed must of them. I really didn’t care for Mr.X’s (the bad guy) POV. I didn’t think this series could get any better than Wrath and Beth’s story. Guess what? I was wrong! This book was amazing. 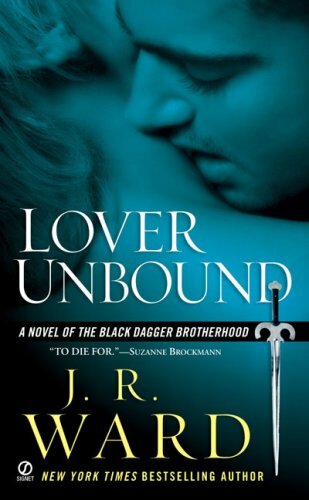 I still love the first book, but oh man, you will fall in love with Rhage! He was dreamy, funny and so romantic. I think Mary and him are perfect together. Here I got to know new characters. Like: Bella and John Michael. I have to say that I fell in love with this John Michael kid from the beginning. This one is definitely one of my favorite books in the series. Ok, so I don’t know why but I was intrigued with Z since I first read about him. I wasn’t disappointed! This is my favorite book in the series. Bella is also one my favorite female characters in the series. She was strong and likable. Like the other books in the series, this one has different point of views. I enjoyed every single one of them. As for the main Lesser (which are the vampire’s enemies) in the story, I have to say that I also enjoyed his POV. Even though Mr.O was crazier than Britney Spears a few years ago, he brought something unique to the book. You get to see a different aspect of The Lesser society, which is not that pretty either. I wasn't expecting to like this book. It didn’t feel right that Butch wasn’t a vampire and Mrs. Ward was going to give him a fullbook. Even though Butch proofed himself worthy many times, I though of him as weak. From book 1 you get to know he is in love with Marissa, another character I didn’t feel close to. The first 50 pages or so, proofed me right. I wasn’t attached to the main characters or their love story at all. It was a slow beginning. But then, the fun started! I grew closer and closer to Butch and Marissa. I found out that Butch tough of himselfas a leech. Using the Brotherhood's money to pay for his expensive taste in clothes and hard partying and he felt uncomfortable about it (so did I). As the book progresses Marissa finally grows, excuse my language, some balls. Anyways,this book was a slow starter, not as good as books 1-3 but still awesome. Not many people liked this one. I was very excited to read V’s story and when I read bad reviews about it I was I little disappointed. But bad reviews were not going to stop me from reading this book. To tell you the truth I enjoyed it. Jane is my favorite female character so far in the series. V was a complex character. There’s a lot back-story in the book. You get to know how V got his tattoos and there are 2 or 3 surprises in this book. Lots of people were disappointed with the ending. It didn't bother me as much because I knew about it. It was still a little weird ending but satisfying nonetheless.Note: careful while reading reviews about this book. There are lots of spoiler in many of them. I will continue to read the series. I wasn't expecting to love it as much as I did and I'm glad I found out about it. 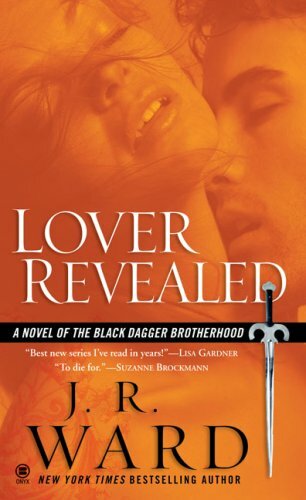 Have you read any of The Black Dagger Brotherhood books? If you have, which one is your favorite? I LOVE BDB!!! If I had to choose a fave book, it would probably be Lover Eternal but my fave Brother is VISHOUS! Oh I lobed BDB! 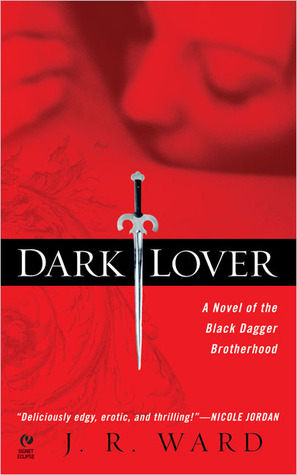 My favorite book would have to be Lover Awakened, my favorite brother would have to be Zsadist. His character is so appealing, the way he grows through the series. Though Payne (Lover Unleashed) comes in very close. Yeah X will be there though out the books, he annoyed me at first, but I like the head hopping, you get more that way I think. Something I find strange... I have heard many ppl mention one of the brothers as their favorite but never have I seen Wrath on someones list of favorites... seeing that he is the king and the first brother we meet, I just find it strange.